How Effective Is Metformin for Weight Loss? 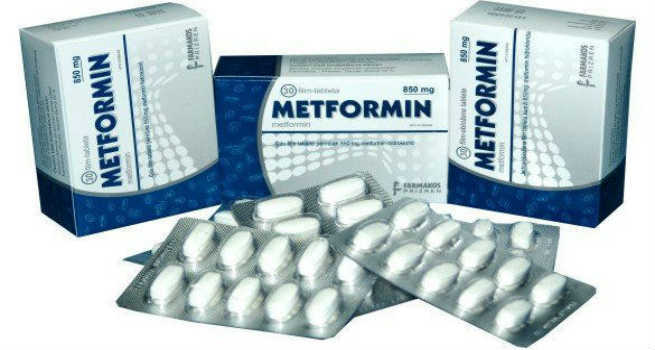 Metformin is a drug that is prescribed for Type 2 Diabetes to control the blood sugar levels. The medication does so by controlling the amount of sugar absorbed by the body. Taking metformin increases the body’s sensitivity to insulin and lowers the blood glucose levels. The overall effect of this in the body is that you feel less hungry and tend to eat less, aiding in weight loss. Let’s see how this works and how effective is metformin for weight loss. When you eat and your food is digested, your blood sugar levels increase. Once your food gets completely digested, the insulin in the body, responsible for breaking down the sugars, tells the brain that you are hungry. Metformin slows down the movement of food in the intestine and also controls that amount of sugar that is absorbed by the body. As a result, the food that you ingest is broken down over a far longer duration of time than your normal metabolism rate and you feel fuller and bulkier for longer. Metformin also suppresses the production of insulin in the body, thereby controlling the hunger triggers that are sent to the brain. This in turn makes you stay off food for a longer duration. In effect, you end up snacking less and eating only your main meals of the day. The dosage that is prescribed to you can vary between 500mg to 1000mg, depending on your requirement. The pill is to be taken twice a day. The secret to getting the medicine to work is to find the dosage that is appropriate and effective for you, for which you would need to do some trial and error. However, be wary about taking larger doses of the tablet since it can have some side effects. The medication was designed to control type 2 diabetes and one of the side effects happened to be weight loss, after which the medicine has been extensively used to promote weight loss. Many patients who have been on a prescription of Metformin have reported rapid weight loss when the medication is coupled with a balanced diet and regular physical exercise. If you want the medication to work, then be sure to remain on a low carb diet that will not shoot up your blood sugar levels and to consume plenty of water. Yes, the medication has a number of side effects, ranging from diarrhea, pain, weakness and nausea. Some have even complained of feeling faint and having difficulty in breathing after taking the medication. Be sure to consult your doctor who knows your medical history before you get a prescription for Metformin. Not just weight loss, the medicine also helps in treating many other physiological conditions. It helps in controlling the amount of androgens that are produced by the body. In women, it used to treat polycystic ovary syndrome – it helps regularize menstrual cycles and prevents miscarriage. It also promotes a healthy heart by reducing the cholesterol levels in the body.